The innovative American Solo® Shade System is the same system as the American Duo® – BUT with only a SINGLE roller shade per shade assembly. It is typically utilized to provide privacy as only a Night shade, or to provide the driver and front passenger just Day privacy and heat reduction. Like the American Duo, the American Solo (one roller shade per assembly) is an advanced, economical, hi-tech total privacy shade solution that takes the place of curtains, powered or manual sun visors, and troublesome pleated shades. 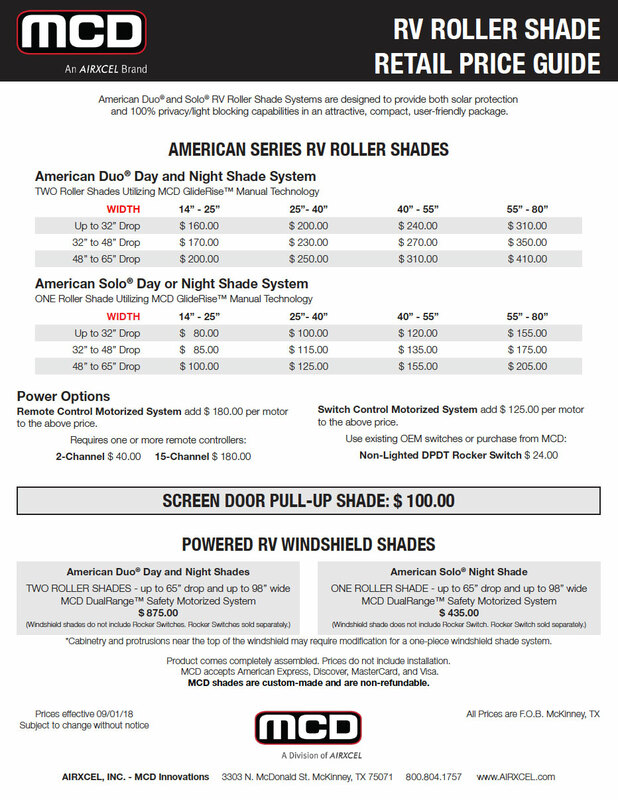 The American Solo is the shade system featured on certain 2009, 2010, 2011, 2012 and 2013 models from Fleetwood, Winnebago, Itasca, Monaco and many others. The base system features a full-width powered visor for windshields and smooth roller spring assemblies for driver, passenger and front door windows. 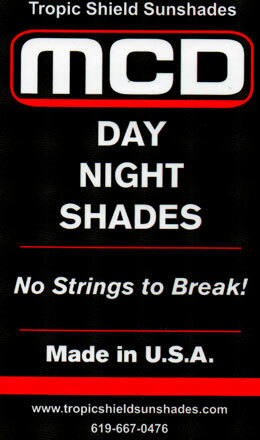 A wide choice of shade materials are available and are all 100% Light-Blocking. Installation is quick and easy with a convenient “snap-in” design. Also available in full-powered mode.